"We are always training for something we hope we never have to use"
Requesting Emergency Assistance and Contact - There is no charge for our services or requesting our assistance. Based in the Waterloo Region Ontario, we will support any needs in South Western Ontario, currently; further if required. Please include your contact information and the requirements needed. We will reply as soon as it is received. 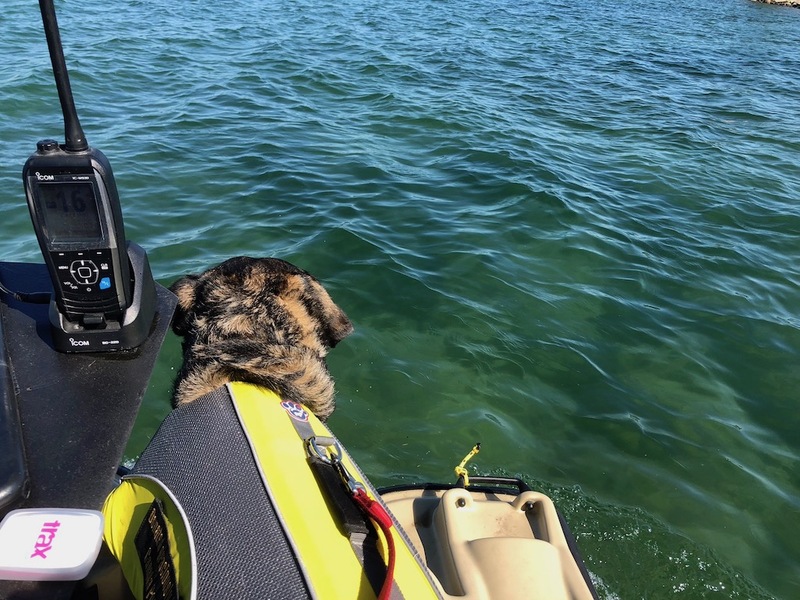 Please note we do not search for lost pets. There are many other groups, depending on your area. The Senior trainer maintains his credentials, ongoing training and qualifications. Including through Federal Emergency Management Agency (FEMA), and the National Incident Management System (NIMS). Keeping the team at an advanced level of knowledge and training. • Ground Search and Rescue. • Assistance of water rescue. • Urban Search and Rescue, with the emphasis on disasters, including possible plane crash and building collapses. 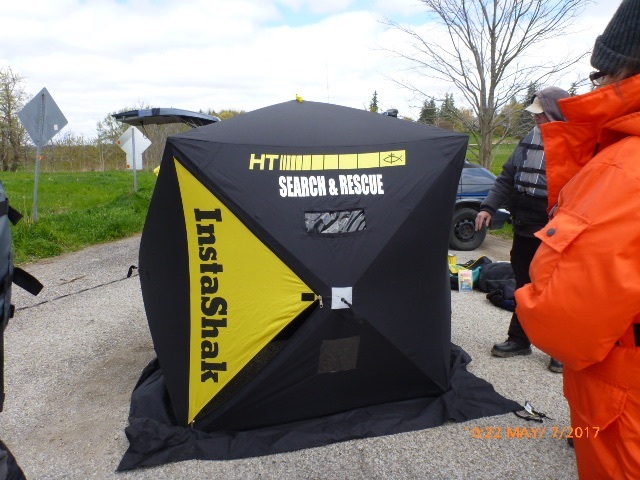 There are a number of different sides to Search and Rescue and we are working with other organisations who offer specialties in their fields. • Qualified pilots and crew for our Drones (U.A.V. 's), capable of flying a GPS pattern with live video streaming, back to base as it records in the command unit. Including the use of a recording, multi coloured FLIR Thermal camera imaging up to 1000 feet away. Capable of showing as little as 1⁄10º difference in temperature variables. 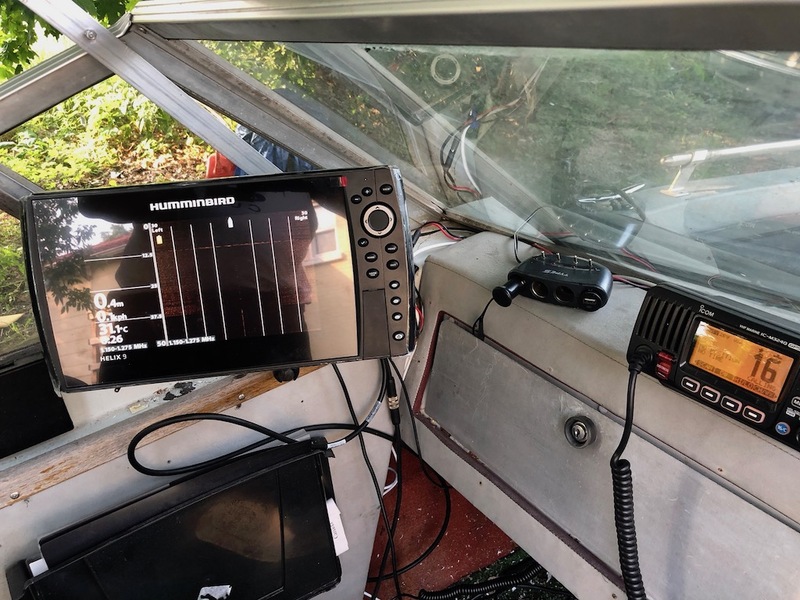 The VW Eurovan and Command Unit trailer are set up to support the Search team in different aspects, allowing it to go with the team, already equipped with most of their needs and requirements. Depending on the needs, we have access to off road vehicles with life support equipment on board and both air and water support, as required. Our team is one of the few qualified to fly our UAV's Nation wide in Canada, under our Special Flights Operation Certificate and in the States, under the FAA Part 107 section. Our senior pilot has qualified under the 2019 regulations by Transport Canada and has his Advanced license. 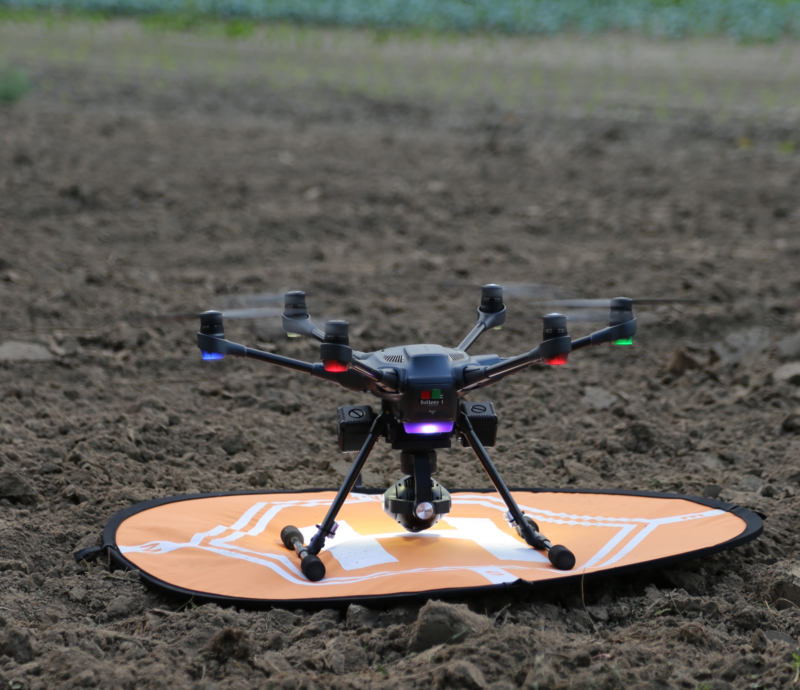 All our UAV's are registered in accordance with the new regulations as well. He is also qualified to do Flight Reviews under the new regulations where every Advanced UAV pilot must have a flight review done. Our other pilots will have the same certification shortly. Our Typhoon H Series UAV's are equipped with Lume Cube illuminating lights and full navigational lights for our night flights and searches. Added to our fleet in 2019, is another Typhoon H with a dual camera. It has both a low light and Thermal camera. With both units being identical, all components can be exchanged from one unit to another. There is also a second controller, so the pilot can concentrate on the safe flying, while another person controls the camera. 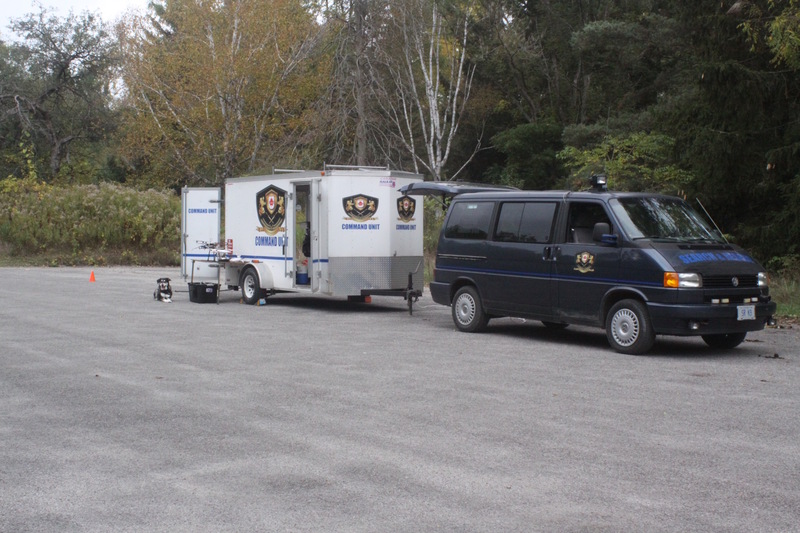 The canine unit will be used initially for search and rescue training and deployment. 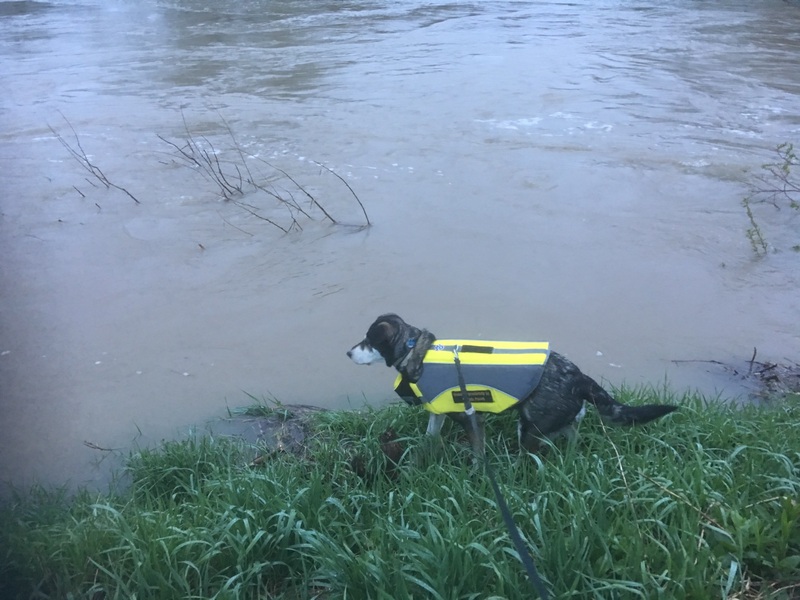 We are currently training our dogs, to assist the team when required, as they go through the different aspects of the training programme. This is a lengthy process and one that takes a great deal of patience and time. Once a dog is trained, it still needs to be kept qualified. They are very friendly and included in their current training, they visit public events and love the crowds. 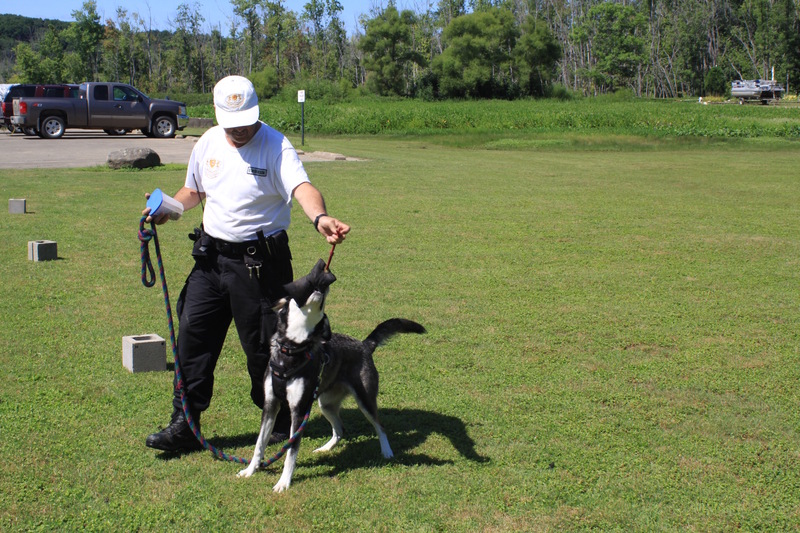 If you would like to request a visit from the canine division, please email us and we will see what we can do. 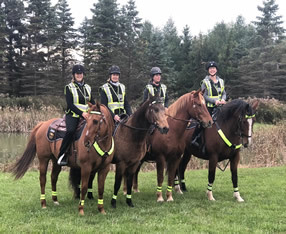 We are pleased to be one of the first volunteer search and rescue groups in Canada to be working with a mounted unit that is training in scenting. We will be establishing the high standards of training in Canada, other countries use, for our mounted unit to then parallel the other standards within our group. Although there are other mounted units, that are used for elevation and covering large areas. 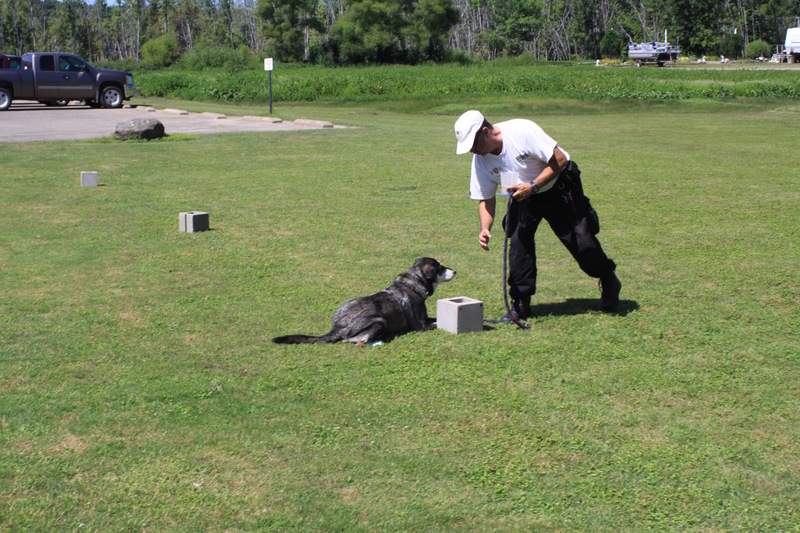 Our horses started scent training in early 2018 and will be working on additional training, similar to that of canine. These amazing riders and horses are working on scent detection to be able to work with the other groups of our team to help find the missing person as soon as possible. This is a very specialised training that they are taking and we are proud to support them. We are currently establishing a Cadet section where anyone aged 12-18 will be able to start training with us and learn what it takes to be involved in assisting others. Please feel free to contact us if interested for more information. Members go through a training programme that teaches them different skills needed to work together. You need a valid First Aid certificate and will require a police clearance. If you would like to join us, please email us with your contact information and let us know a bit about yourself. We will get back to you with the next training schedule.